There seems to be an abundance of misinformation online when it comes to the cost of starting up a Freight Brokerage. For example, potential entrepreneurs are often turned off by the idea of putting up $10,000 to secure a surety bond, when in fact in most cases, whereas the owner/partners have positive credit scores, a surety bond requires less than one thousand dollars to secure and post. In this article we will address the true cost of starting-up your Freight Brokerage. From conception to the first day of operations, we will exam the true cost of start-up, including initial capital requirements, 1st quarter operational cost, and the high cost of failure. In the beginning there was the conception of a small business idea. Maybe you have a history with the industry, maybe a friend makes a comfortable salary as a freight broker, or maybe you’ve read that the industry is booming and holding steady even in the most difficult of economical times. Either way, undoubtedly this is an exciting time in your life: You’re considering a new venture as a small business owner and you deserve a moment to daydream… there, now that that’s all settled, let’s get down to brass tax. Local Fees and Requirements – Although fees vary between municipalities, it is common in the United States for your county to require fee-based license and permit requirements to run a business within the limits of the county. The amount of these fees will vary and may require an investment of between $50.00 and $1000.00. Typical fees for licensing and permit requirements are $500.00 or less. The Cost of Authority – The cost of authority in the United States i surprisingly low. As of Jan 1, 2012 the cost of acquiring a Motor Carrier’s Authority is $300.00. For this fee you will receive a six-digit authority number, for example, MC# 000000. This authority will allow you to operate interstate transport. Your authority will last for as long as you remain in compliance with the F.M.C.S.A . Surety Bond – A $10,000 surety bond is required by the F.M.C.S.A. to lawfully operate a freight brokerage in the United States. However this does not mean you are required to put up $10,000; there are many services that will happily put this bond up in your name for a fee of $1000.00 or less. This service resembles a loan and requires a positive credit score by the one who seeks to acquire it. If your credit score is not favorable you may wish to invite a business partner in on your plans otherwise you may be required to put up the entire $10,000 bond yourself. Operational Cost – The cost of starting-up operations will of course vary between brokerages, budget, and location. However, operational cost in most cases is greatly within the control of the Brokerage Owner. Take this opportunity to create a restrictive budget that only allows only for the upmost necessary expenses. In many scenarios a new freight brokerage opens within the familiar confines of the home. If this situation seems familiar, your starts up cost are likely relatively low. If you don’t already own these items, a thrifty minded entrepreneur could acquire all four of these items for less than $500.00. Office Equipment & Supplies – It’s rather easy for a new business owner to lose his or her way and overspend with excitement when it comes to building a new home office. Remember, you will need every dime of operational income available to you in the near future. Simplify your dwellings now and focus on your earnings. Do this and there will be time for spending and upgrades in the near future. Website, Hosting, Email Services – When most people hear website, they think of the high cost involved in production. Well, fortunately this isn’t true anymore. There are websites dedicated to freelancer services that allow you to post a job and pay the lowest bidder a small amount to complete your project. For a thrifty eye, these services are available for less than $500.00. Note: Your brochure, business card, and logo services can all also be obtained through the freelancer services sites mentioned above. There may be additional needs, requirements, and cost required for the start-up of your business, needs that have been otherwise neglected within this article, further your research to further understand a day in the life of a freight brokerage owner. A Transportation Intermediary acts as a broker of freight between two companies, a Shipper (i.e. Manufacturer) and Carrier (i.e. Trucking Service). 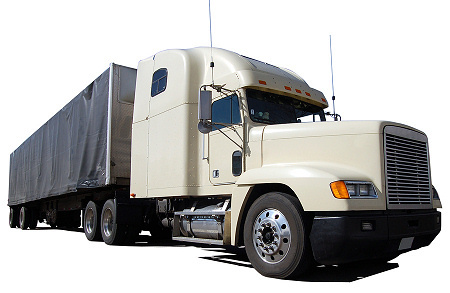 He or She arranges for the safe and reliable transport of cargo from one location to another. Once a transportation agreement has been reached between the broker, shipper, and carrier, a shipping confirmation agreement is signed between the parties and pick-up and delivery arraignments can be made. The broker bills the shipper when services are rendered. The shipper pays the broker who receives a small percentage of the total fee before forwarding payment to the carrier. The process is then repeated several times per day/week/year. How much do freight brokers make? This question often comes up in online forums and on message boards. While certainly a valid question it’s a rather difficult one to answer. Like any opportunity in life freight brokering is and will be what ever you make of it. A hard working brokerage owner could net six-figure earnings while a laid-back broker can just as easily earn nothing at all. If however, you are willing to work hard towards achieving your business goals, owning a brokerage can be a rather pleasing and profitable experience. Fact: The Fortune 5000 (500 inc’s annual list of the 5000 most profitable small businesses of the year) named 3 brokerages in its 2011 issue. Start-up cost can vary from state to state and are often dependant upon local taxes, fees, and operation cost. For example, in Salt Lake City, Utah, one is required by law to receive the permission of any neighbor within 1000 ft of his/her front door before starting-up or operating a small business inside his/her home. This particular regulation could set you back quite a bit should you be required to purchase or lease office space from a retail location. Won’t I need a staff? Depending on how you decide to form your company, (i.e. incorporate, LLC, sole proprietor, etc.) you may need a small staff to form a corporate board, for example, President, Secretary, Chief Financial Officer, etc.). Keep in mind you may choose to appoint these position to just one person, meaning you won’t necessarily need a business partner or chief-staff if you decide to incorporate. Agents however, are a different beast altogether. It is possible and perfectly acceptable to hire a staff of freight agents as independent contractors to work under your motor carrier authority. Hiring independent contractors frees a business owner from many legal obligations he/she would otherwise have to a staffed employee, thereby lowering operation and start-up cost. Can I start-up my brokerage on a part-time basis? It is possible to start up your operation on a part-time basis. For example, you could hire independent contractors to work as Freight Agents on behalf of your Motor Carrier Authority, and any one of them could represent your company as an office manager when you are otherwise unavailable. He or she might desire extra compensation for performing this task. You might increase the commission rates for an agent that you trust to this position. You might otherwise achieve a part-time operation status by simply ending operations by noon every day. However the latter is less advisable in some cases. If you plan to be the chief operations officer of your company it’s often difficult to become unavailable every day at noon. The transportation industry motors through 24 hours a day and your services may be requested during unconventional hours, your inability to be available to drivers and dispatchers who may need your services, may be the downfall of your operation.